AUDCHF, USDCHF and GBPCHF all gave nice trades yesterday. Close watch on E/U … 50 fib zone 1 hr … have been too quiet for a longtime now …lol. Hey guys, just checking in. July was a decent month! Less trades, but decent. I’ve seen much worse summer action than this…be patient, pick your spots, be ok with a no trade day and you’ll be fine. Yesterday I took G/U long about 30 minutes before the news (not listed as high impact on FF). The background showed buyers suspiciously not taking much profit on longs when they could have. So, they were still expecting higher prices, and soon. The strength of the GBP has been pretty obvious lately. Are the videos on your YouTube channel "the truth behind trading " videos 1-4, are those the videos that explain how to use your VSA system? Are there additional videos or should that be all I need? First off I would like to say a massive thank you to Pete for these amazing threads and all the brilliant contributions by everyone! Iv literally seen so many different forms of trading on my journey, from automated robot systems to harmonics to Elliott wave and everything in between, and while i learnt a lot from all of those, I wasn’t truly comfortable using any until now! I think my finance background at Uni is probably the reason, the first thing i was ever taught in economics was…supply and demand. It is what drives the market and VSA goes hand in hand with supply and demand! Over the last couple months I have read, master the markets, a complete guide to volume price analysis by Anna Coulling, all of Pete’s posts and most of other users posts on the the first thread (1500 pips…) all 350 odd pages! I have watched the 4 parts of “truth behind price movement” twice along with a few of the live trading videos. I am currently about 60 pages into this thread but I NEED TO HAVE REAL LIFE PRACTICE! it is good to know you are learning this method very fast … about your entries … i can see you a bit patient with your entries … but you need to work more on that … your first entry was too quick to me the possibility ratio was 50/50 you shud have waited for the AR to be broken and the best and safe entry to me was the second entry and you shud have entered on the sixth candle after the candle your marked as your second entry… just saying you shud be more patient next time. Trade Management Part 1, Trading Strategy. I am a total fan of what you have done for the community so far. As I am just a 2 months old forex baby i was wondering if you would answer a question of mine. Since you have been giving the internet a tremendous amount of quality content I found it hard to pick a place to start observing your system. Should i begin at the beginning of your other thread (1500 pips…) ? And what about your large Youtube channel? Do you recommend watching everything ? or do you have updated your system many and many times so that I would be learning now outdated things? I hope this does not sound bad at all . But i just need some structure in handling all those tons of data you have created over the years. Pete, i want to thank you very much for everything. and also to alot of other great members. I’ll start to sharing my trades to help others. GBP had a strong sell off and than the demand came in, you can see it in the high volume at the 5 m chart. after that i waited to a NS bar and entered to the position above the consolidation. 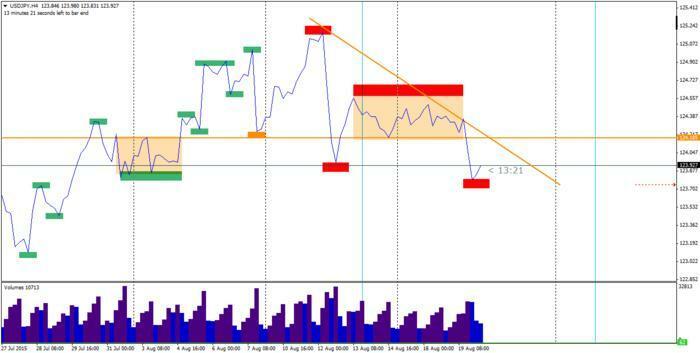 EUR/USD- With the 1h trend, the pair was sold strongly into a daily support. you can see the high ticker volume. I searched an entry on 5min chart. Using the 5m chart to make trades based off the 1hr trend. Is this wise? I’ve always heard that 5m chart is dangerous. I really cannot go through 600 pages so please can someone advise if people have deemed the 5min to be a good choice instead of the 15min or 30 min etc… . And also why it works if there is supposed to be noise on lower time frames? One of the reasons that trading on the 5 min is considered dangerous is because you have a small window of time to make a decision and it needs to be based on technical reasons not emotion. This can be very hard especially for newer traders. One of the nice things about Pete’s method is that you can work up the trade and what you are expecting long before it comes along. Therefore you are only entering if the trade is proceeding the way that is expected. One of the worst things a trader can do is just open their chart see a no demand or no supply and jump in without planning the trade. I would encourage you to visit Pete’s YouTube channel if you want to learn the method without reading these pages. Or you could do what I did—I went though every page but I only read Pete’s posts. Hi 1asbak1, I suggest watching all the youtube videos multiple times. You can look at your own charts and identify the things I show in the videos as you learn. From there you can read this thread. The youtube vids and this thread are pretty consistent as far as the details of the method. The old 1,500 thread has differences that have since been refined but people still tell me it’s worth reading. Glad to help, enjoy. Thanks Pete for this thread and Youtube videos. I understand the concepts you teach and your examples are great. The problem I have is applying the VSA to real charts just doesn’t seem to work when I am searching for them. I am not seeing stopping volume where I see it or I do but the reaction is not correct. Some times in it’s place I see a high volume up bar with a bullish reaction when it should be bearish. I can only conclude That what I believe to be distribution is just re accumilation. You are looking at the chart the wrong way. I suggest to write Pete on Skype, and join the free trading room, where around 40 of us discuss setups every day. You can also join to trade live with Pete and a few others, it has a little price, but shortens your learning curve a lot. Just found out about the news today. I need to start keeping an eye on that. So please tell me if I understand what happened. The USA news was a little negative. The smart money new this already. The day had been very slow because everyone is waiting for the news release. Smart money was accumulating buy orders in todays range and then marked up prices on the news release and everyone jumps in with buy orders. The Smart money then sells into this demand for a profit. They keep selling into the buying pressure which overpowers the herd, and this is why the price fells all the way back down and then some! No we are seeing the news fade in which we can expect levels to return to normal or there abouts. Were there signs that smart money was buying in the range? A trade from today that was clean Pete VSA. This was also a problem for me. “How Important is the trend? At TF H4 I check the latest trend. Then I go down to H1 and from here everything Pete teaches us.